Coffee Table books make beautiful gifts during the holidays…and when you can give a signed copy, well that is even better! We have two book signings during November and the first one is next week; so plan to join us! First we welcome Laura Dowling, author of A White House Christmas. Christmas at the White House is the most beautiful and grand celebration of the year. As Chief Floral Designer during the Obama administration, Laura Dowling was responsible for the dazzling floral pieces that made the season so memorable. Laura Dowling comes to St. Michael’s Woman’s Exchange to sign copies of her book, A White House Christmas. She invites readers behind-the-scenes of this complex yearlong planning process where some of the most innovative and ambitious handmade displays were created. From architectural details to sugar paste floral vases and robotic versions of the First Family dogs, the décor inspired and delighted visitors and guests from across the country and around the world. In addition to her White House experiences, Laura shares advice and ideas, tips and techniques for planning holiday displays at home, including step-by-step instructions for re-creating some of the most popular and original White House holiday designs. 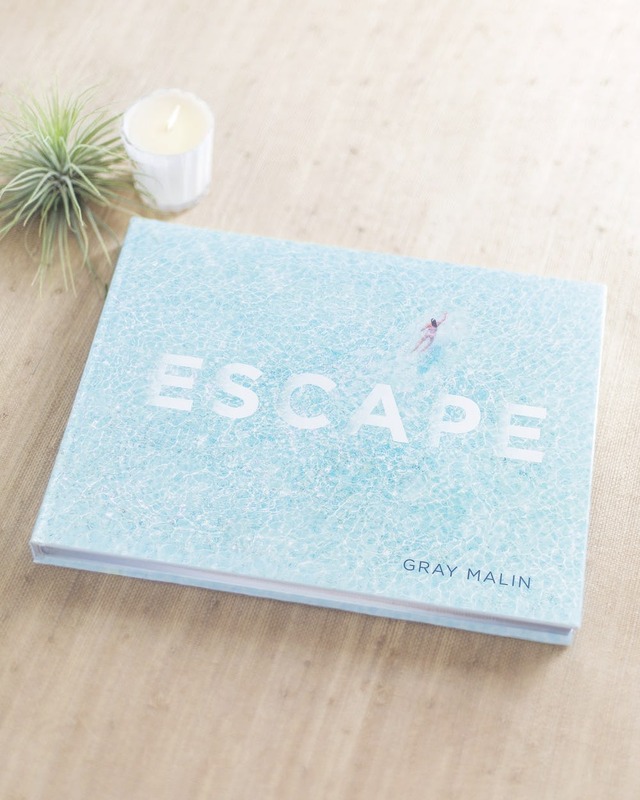 Gray Malin is an acclaimed photographic artist whose iconic prints are loved by those who love a clean, contemporary and unique perspective in their art. He lives in LA but is originally from Dallas! This fine art photographer and NY Times bestselling author shoots aerial bird’s eye views of beaches and landscapes around the world; and has just released his second book. His first book, Beaches, was a runaway hit; and now the talented Gray Malin takes his astonishing photography beyond the beach. Malin’s latest work, Escape, includes awe-inspiring images from 22 destinations across 11 countries, including the dry plains of Namibia, snowy Aspen Mountain and the warm sun of Bora Bora. Escape will inspire lovers of travel to plan escapes of their own. On Friday, October 13 from 1:00-3:00 the ESD grad will sign copies of his new book at The Exchange. We are honored to host Gray Malin on the first Dallas stop of his book release tour! We are so happy to have you follow our story and our mission of providing our customers with beautiful things and then using our profits to benefit others. Some of our customers shop with us because they love the interesting and elegant merchandise mix. Some shop here because they grew up shopping at The Exchange with their mothers and grandmothers, and can’t remember not shopping here! Some customers come because they depend on us to beautifully wrap each and every special gift they give, whether they purchased it from our store or not. Some are loyal customers because they love our mission and feel good knowing that every dollar spent on something lovely in our store is given away to worthy agencies which are changing our community and our world. What ever your reason, we are always glad to see you at #5 Highland Park Village. And if you are new to us, do stop by! Take a tour around our website to learn more about our story...and to see some of the treasures you’ll find around the store. Gifts and Home Decor. Classic Children’s Clothing and Toys. Baby and Layette. Inspirational and Religious Gifts. Gourmet Food and Cookbooks. Custom Stationery. Everything you need, really. And remember, we gift wrap anything purchased here or elsewhere. We plan to use this blog to update our followers about the newest arrivals in our store, the trends we see coming, and to spread the news about special events we have planned.